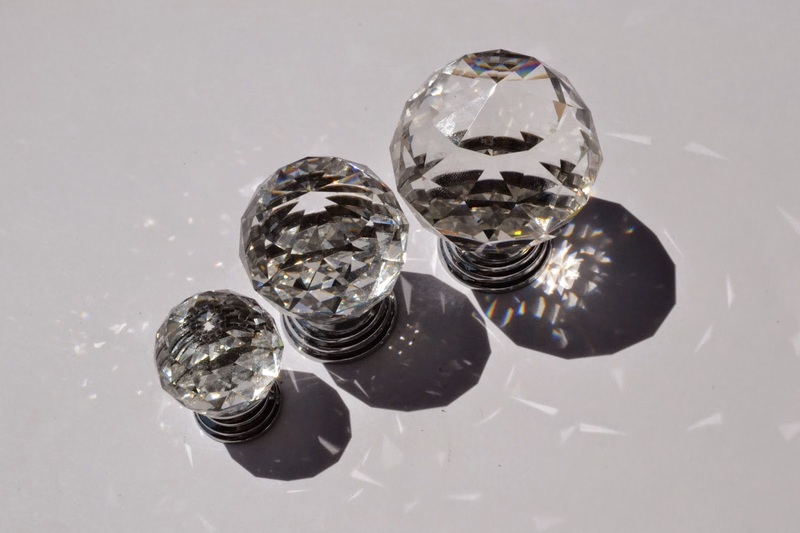 Always popular, to add a little sparkle to your wardrobe or cupboard doors, are crystal knobs. We offer them in several sizes (30, 40, 50 mm) on a polished chrome silver of polished brass gold coloured mounting plate. If you like a little colour to shine through we offer these crystal knobs in pink, blue, green and lilac colours. These are high quality real cut glass crystal knobs not plastic. 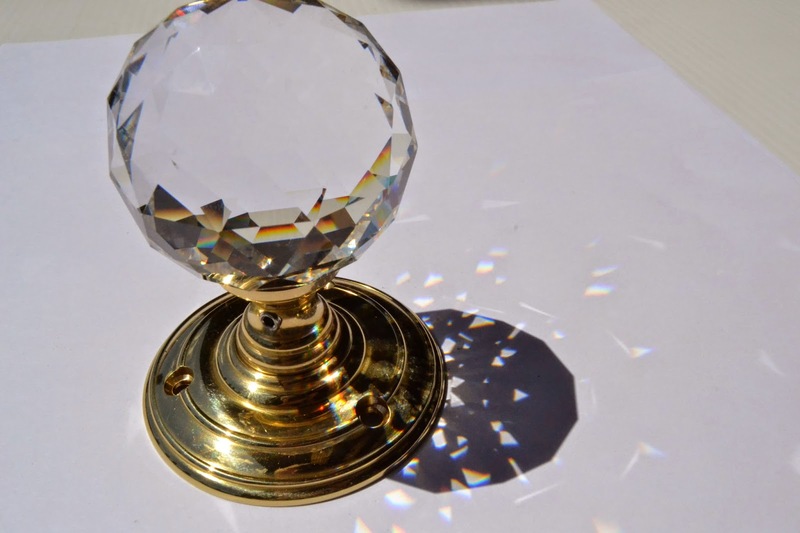 Clear crystal on polished brass (gold) plate door knob. We have many customers who like to fit crystal knobs to their doors These are full size door knobs with a 55 mm diameter (2.25 inches), We supply these with a polished brass plate as shown above or a polished chrome silver plate which ever better matches your furnishings.. We also have matching crystal keyhole covers as shown across., These offer the final sparkle and they are specially available for our customers only see www.handlesupplies.ie.